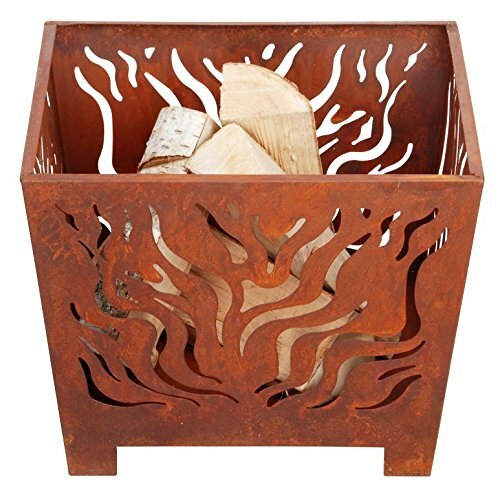 Small Square fire basket with Rust Finish 15" x 15" x 12". 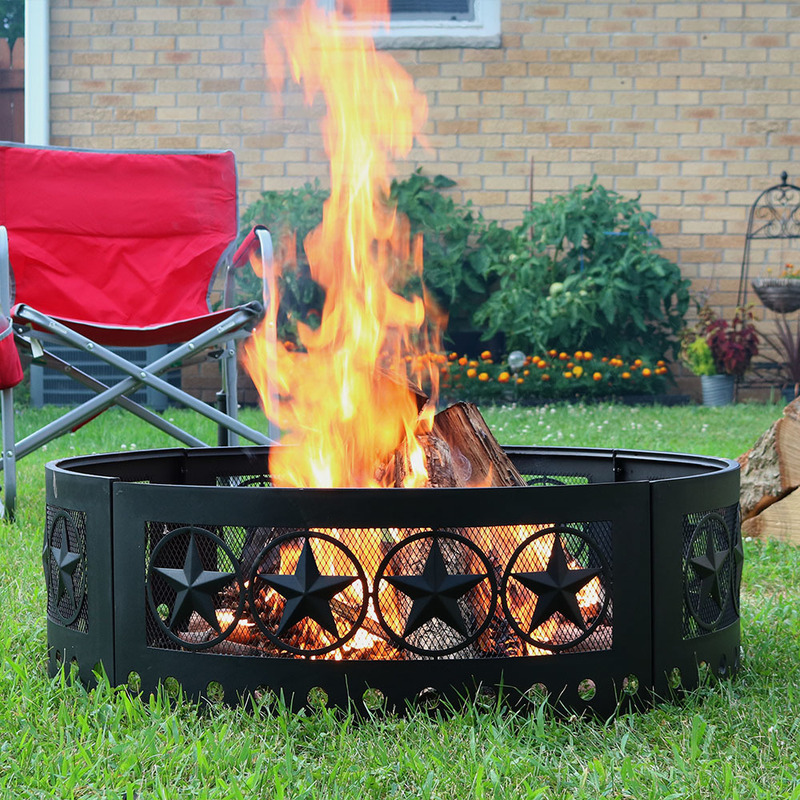 Create a cozy patio setting as you watch the flames dance from this unique fire basket. Safer than a ground campfire. 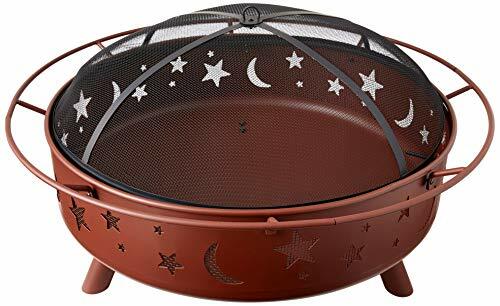 The Super Sky Fire Pit has unique and stylish cutouts which create an incredible ambience at night. 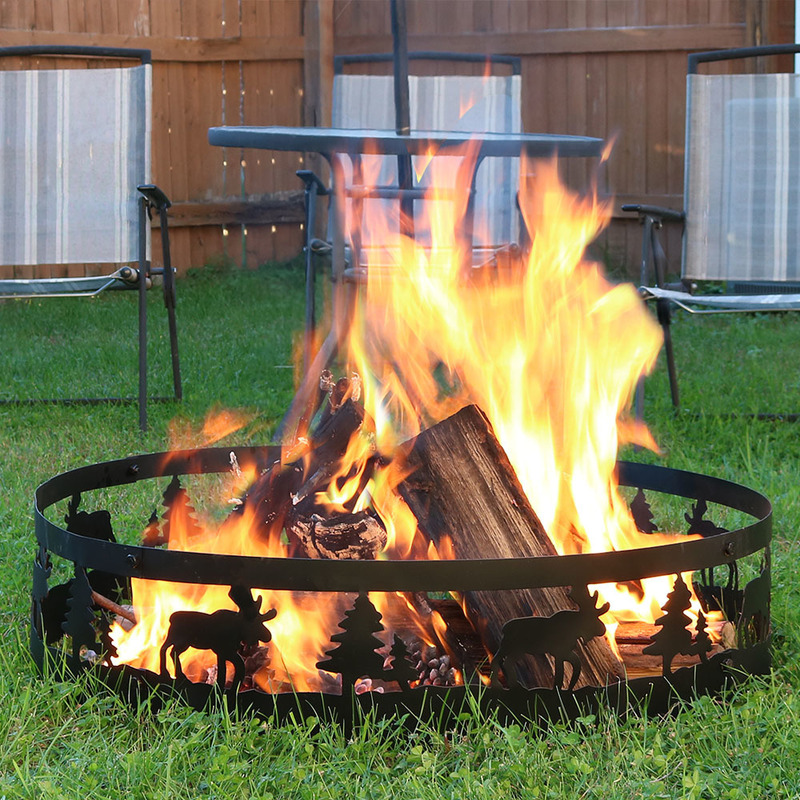 Offers 360 degree view of fire with 40% more burn/cooking space than the regular big sky firepits. Black spark screen and poker included.